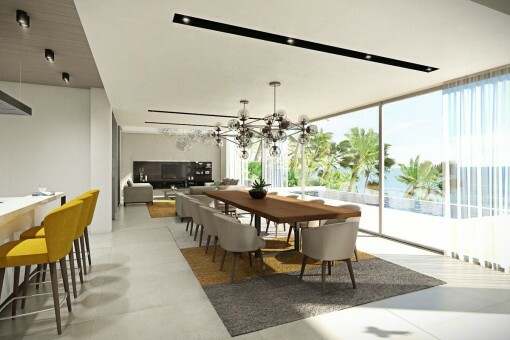 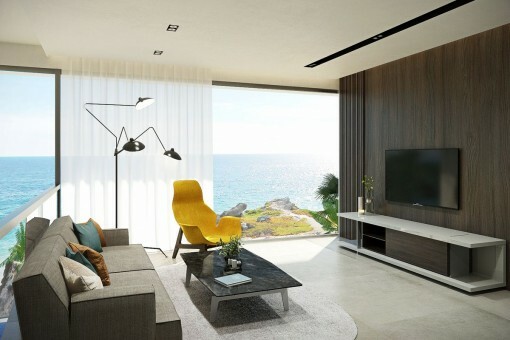 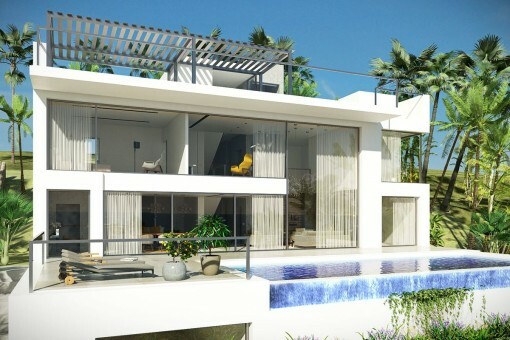 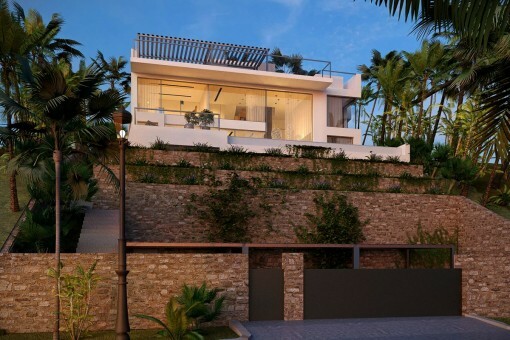 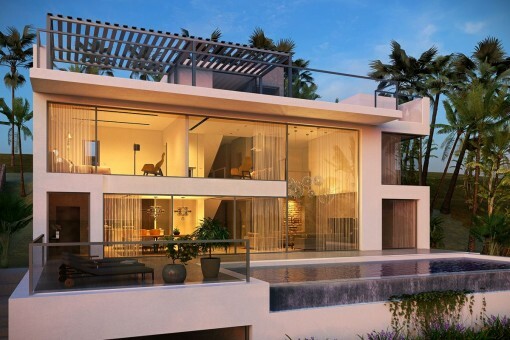 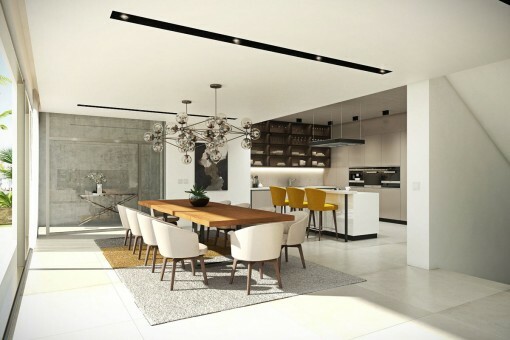 This wonderful newly-built villa with sea views and a large roof terrace is scheduled to be completed in December 2018, and with 480 sqm of living space will present a spacious living area with a 15 metre-long window frontage and a generous dining area with an open, modern designer-kitchen. 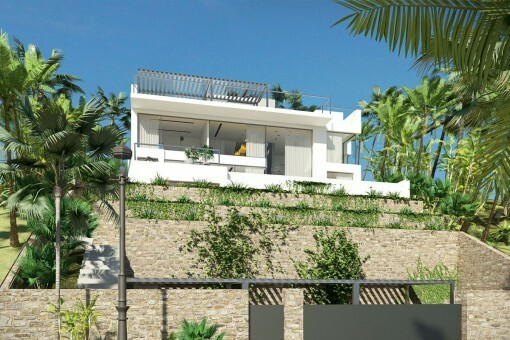 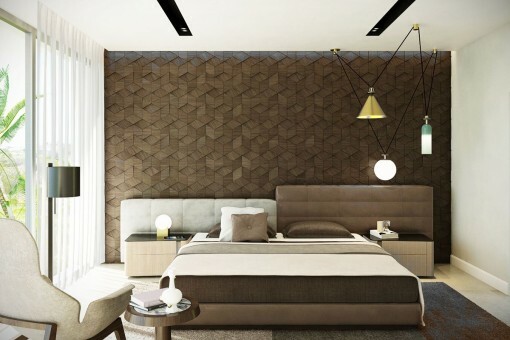 It will have 4 bedrooms and 4 bathrooms, but the highlight of this luxury property is the 155 sqm roof terrace with a summer kitchen and a small pool. 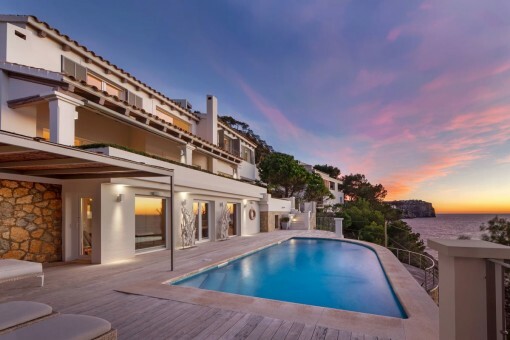 Further features include a heated infinity pool, a lift accessing all floors, walk-in wine storage, an osmosis system, underfloor heating, air conditioning and a carport for 4 cars. 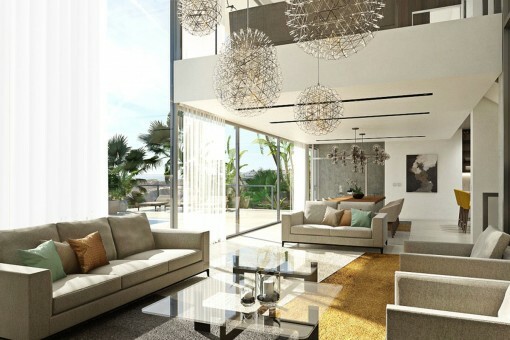 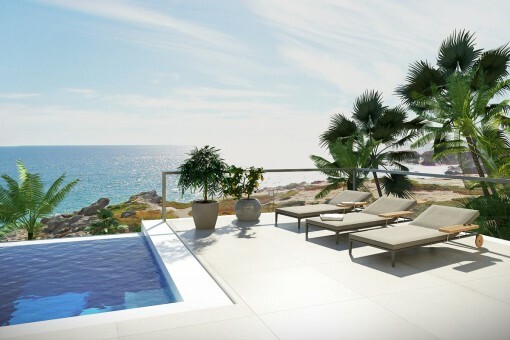 I'm interested in: Newly built villa with sea views in Port d'Andratx (Objekt-Nr.111905). 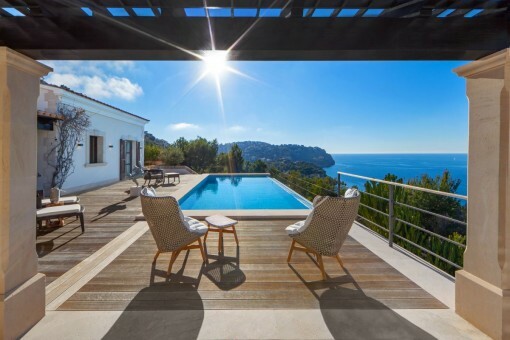 you are reading: Newly built villa with sea views in Port d'Andratx - purchase · Porta Mallorquina Real Estate Rating 4,8/5 by 200 testimonials.